Struggling with Fortnite Season 8 Week 7 Challenges? Don’t worry, We have got your back. Bringing you the challenges guide and cheat sheet for Week 7 of Season 8 Fortnite. Here is how it goes. 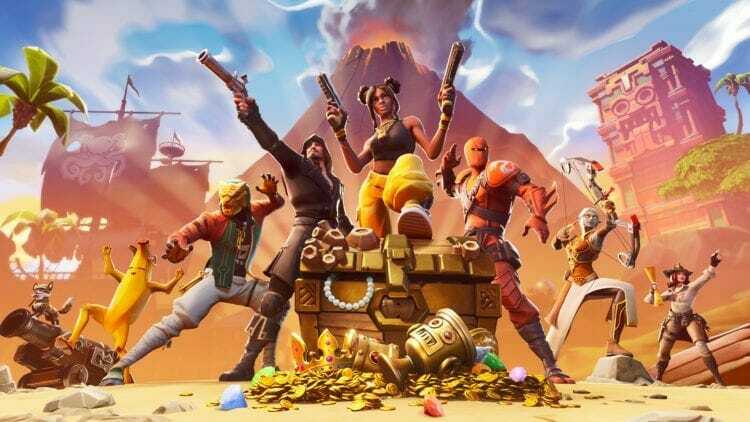 The Week 7 of Fortnite’s Season 8 is in full force and thanks to Epic Games we now have the complete cheat sheet along with Challenges guide to help aid you in your quest to excel at the game. Do note that as is the standard with challenges, there are three free challenges and four Battle Pass challenges. Right off the bat, the Week 7 challenges are pretty ordinary and simple. 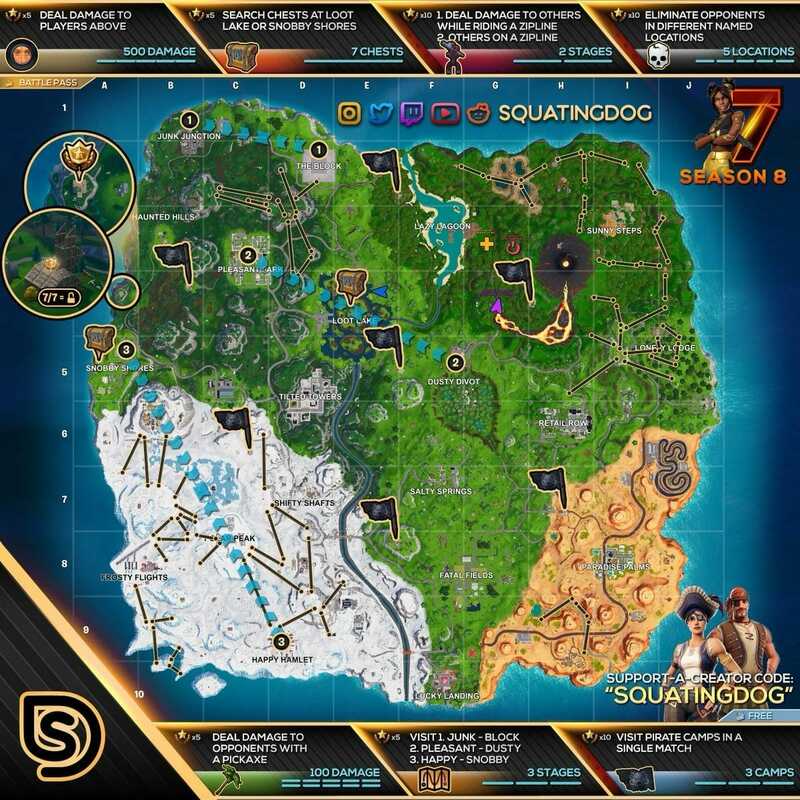 They should not require a cheat sheet, however, if you are unsure where the pirate camps are, thanks to the ever reliable squatingdog, the below cheat sheet will help you out. As can be seen, the cheat sheet above also marks the two locations where you need to search chests, Snobby Shores and Loot Lake. You can also find all of the zip line locations on the map which will help you complete the dealing damage zip line challenge. Do let me know in the comments if you found the cheat sheet helpful.